Bon Jovi guitarist Richie Sambora has entered a treatment facility. 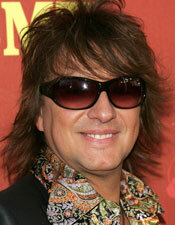 "Richie Sambora has entered an undisclosed treatment facility in Los Angeles," a rep for the band told People. "He asks that you respect he and his family's privacy at this time." Richie, 47, announced his split from Denise Richards a month ago after a controversial, year-long courtship. He and ex-wife Heather Locklear, 46, divorced last year. They have one daughter, Ava, 10.